CAIRO, Aug 10 2014 (IPS) - Magda Ibrahim first learnt that she had endometrial cancer when she went to a clinic to diagnose recurring bladder pain and an abnormal menstrual discharge. Unable to afford the recommended hospital treatment, the uninsured 53-year-old widow turned to what she hoped would be a quicker and cheaper therapy. A local Muslim sheikh claimed religious incantations, and a suitable donation to his pocket, could cure the cancer. But when her symptoms persisted, Ibrahim consulted a popular herbalist, whose wasfa (secret drug or herbal elixir) was reputed to shrink tumours. When she returned to hospital the following year, tests revealed that the tumour was still there, and the cancer had spread to her lymph nodes. Moreover, the herbal mixture she was taking had caused her kidneys to fail. Egypt is a “minefield” of bad medicine, says paediatrician Dr Ahmad Bakr, a health care reform lobbyist. He says successive governments have done a poor job at both regulating the medical sector and educating the public on health issues, leaving Egyptians unable to afford their country’s two-tiered health care system vulnerable to ill-qualified physicians, spurious health claims and quackery. He says Egypt’s lax regulation and poor enforcement has created room for unqualified doctors to perform plastic surgery out of mobile clinics, peddle snake tonic on satellite television, and dabble dangerously in reproductive health. 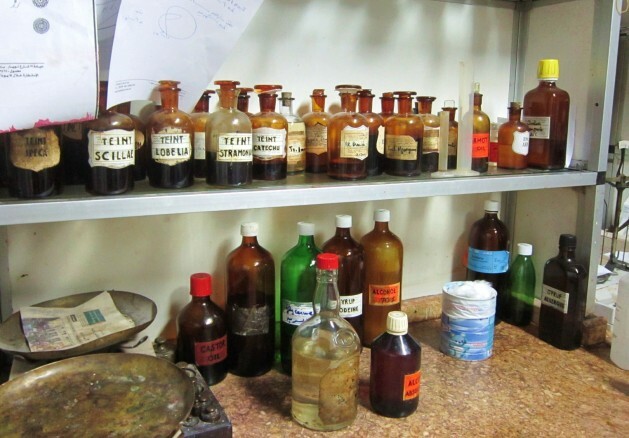 It is estimated that one in every five private medical clinics in Egypt is unlicensed, and thousands of medical practitioners are suspected of using false credentials or having no formal training. The incompetency goes all the way to the top. In February, Egypt’s military announced it had invented a device to remotely detect hepatitis C – along with acquired immunodeficiency syndrome (AIDS), swine flu and a host of other diseases. The device, which is said to work by detecting electromagnetic waves emitted by infected liver cells, is based on a fake bomb detector marketed by a British con artist. The military also claimed that it had invented a revolutionary blood dialysis machine that can cure hepatitis C, AIDS and even cancer in a single treatment. Critics say Egypt’s government contributes to a climate of medical irresponsibility. State media routinely exaggerates health threats and feeds public hysteria, while the knee-jerk reactions of government authorities – including high-ranking health officials – are coloured by popular sentiment and political motives. Reacting to the global swine flu pandemic in 2009, overzealous parliamentarians passed a motion to slaughter all of Egypt’s 300,000 pigs. There was no evidence that pigs transmitted swine flu to humans, nor had the virus been detected in Egypt. But officials, swayed by the Islamic prohibition on eating pork, appeared to seize the opportunity of a like-named virus to rid the Muslim-majority nation of its swine. Global pandemics such as severe acute respiratory syndrome (SARS), avian flu and the latest contagion, Middle East Respiratory Syndrome (MERS), have presented golden opportunities for Egypt’s myriad quacks and swindlers to fleece the uninformed masses. When a swarm of desert locusts descended on Cairo, enterprising charlatans took out ad space in local newspapers offering a “locust vaccine” to anxious citizens. Not surprisingly, the injected serum, which turned out to be tap water dyed with orange food colouring, offered no protection against “locust venom”. But it did leave duped households poorer, and at risk of blood contamination or hepatitis C infection from jabs with unsterilised needles. In one popular scam, people claiming to be state health officials troll low- and middle-income neighbourhoods offering costly “preventative medicine” for infectious diseases. The fake medical personnel, dressed in lab coats and wearing official-looking badges, administer bogus vaccinations to unsuspecting families. “Sometimes they give people injections – who knows what’s in them,” says Sherif. Health officials say the sham physicians create confusion that affects legitimate health campaigns, such as Egypt’s national door-to-door polio eradication campaign. Egyptian authorities have also found themselves in a cat-and-mouse game with thousands of “sorcerers”, whose superstition-based folk medicine draws desperate working-class patients suffering physical and psychological ailments. The self-proclaimed doctors and faith healers are particularly difficult to catch, say prosecutors, because they tend to work out of rented apartments and advertise mostly by word of mouth. An Egyptian judicial official told pan-Arab newspaper Al Arabiya that despite attempts to prosecute sorcerers for swindling and fraud, most cases are dropped when the sorcerers reach a settlement with their victims. “There is almost one sorcerer for every citizen,” he concluded.